Do add your thoughts, either here in a comment, via Twitter (@Wansteadium) or on Wansteadium’s Facebook page. 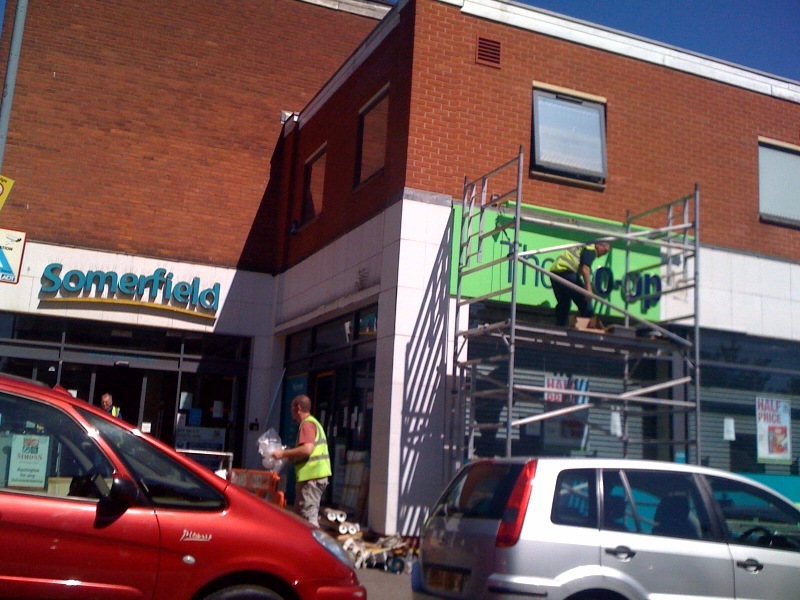 Signs for the Co-op being installed on Thursday morning. Arrivederci Somerfield, hola Co-op.